So, Now news is coming that Galaxy S8 won’t come in MWC and now its confirmed. 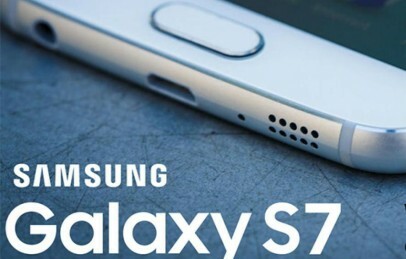 Apart from that reports also claimed that Samsung may announce its next flagship by April end. Samsung also plans a range of new accessories for S8. As we all are waiting for Galaxy S8 to be represented in Mobile World Congress but now its confirmed that the Samsung Galaxy S8 would launched on April 21, 2017 (rumoured release date of Galaxy S8). There are many controversially news that Galaxy s8 will have the large sized display, it won’t have a physical home button, dual lens camera, fastest android phone ever had, they also reportedly that they have both headphone jack and a desktop dock also is there. The Samsung finally relieved that Galaxy S8 is the speediest android smartphone for that they trying to use the Qualcomm’s superfast Snapdragon 835 chips to make it the fastest device from others. They made it more powerful charging dock also for better support to its fastest android features they attach it quick charge up to 20% fastest then other chargers. Samsung trying to make Galaxy S8 as the best smartphone of 2017 they trying to make and use many on new concept that never use till know. They made it more fastest and smartest that no phones work like it ever they trying to made it more perfect and impressive they launched many things in it like iris scanner and dual camera with smooth finger touch display in it. The Galaxy S8 is going to come with and ultra fast processor of Snapdragon 835 / Exynos 9 which uses 10nm technology making it one of the first device to have it. It will come in 32GB internal storage which can be extended upto 256 GB by putting micro SD card into Hybrid SIM Slot as we have seen last year with S7. As per the reports Galaxy S8 will not have physical home button, and its because of new Samsung AMOLED display which is going to bring 4k resolution. They made Galaxy S8 bezel more shorter and more attractive and easy to handle and comfort. For this reason they moved the fingerprint scanner at the back for less space in front to make it more attractive and style looking. There is perfect and best 3.5mm headset jack has placed at the top on the Galaxy s8. They improved and made better image quality with low light performance and with speeding the device. Samsung trying to improved their software and hardware for better performance and made it fastest then other device for that they use many new ideas and concept to implement on Galaxy S8. They make it more smart and more effective to use that every one love to use it they have many new and smart featured that attract and surprise us. For more and new updates stay connected for more news and leaks. You can share your thoughts and queries by commenting below and before leaving make sure to like and share us using below social buttons.